Smoked pigeon (煙燻頂鴿) - I guess my nose really wasn't working tonight, because I could only detect a little bit of the smokiness. Mock roasted goose (脆皮素鵝) - pretty crispy and good. "Twinned" lion fish (鴛鴦沙咀魚) - apparently this was recommended by the staff. I guess the fish was pretty tender and the flesh had a fairy silky texture. Interesting to have this served two ways - including battered and deep-fried. Smoked duck (樟茶鴨) - haven't had this in a long time, and this was pretty good. 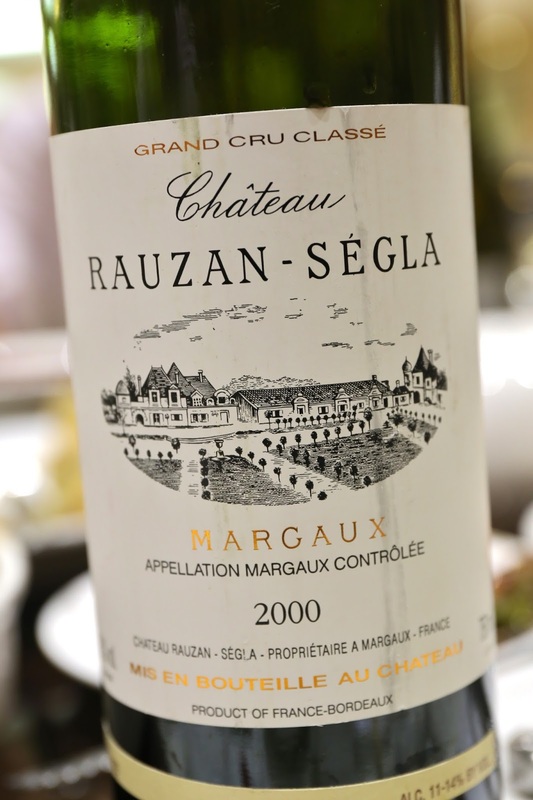 Crispy and smoky skin, with meat that was nicely seasoned, slightly dry and chewy as expected. Fried crab, in soya bean sauce and with rice cakes (年糕醬炒青蟹) - this was highly anticipated, and indeed it's one of my favorite dishes in Shanghainese cuisine. I've always loved Shanghainese rice cakes, and when they're stir-fried with tons of soy sauce and sugar, and comes with crab covered in that sweet, sticky sauce... mmm mmm good. Braised pig knuckle (紅燒元蹄) - did I say the last dish was one of my favorites? Well this is even better, and my favorite since childhood. How can I not like a hunk of jiggly, wobbly, tasty skin and fat?! Dried tofu in shreds, hashed with chicken and ham (雞火拌乾絲) - this isn't my usual or preferred way of having shredded tofu, but I don't mind having it served dry with soy sauce. Sauteed shrimps (清炒蝦仁) - the quintessential Shanghainese dish. The amount of manual labor that goes into shelling these tiny river shrimps is just incredible. Covered in cornstarch as usual. Pan fried yellow fish with salted egg yolk (黃金小黃魚) - actually pretty damn good! I only took the rear half with the tail, but the yellow croakers were very succulent, and the coating of salted egg yolk provided just the right amount of flavors. Red bean birthday bun (豆沙壽桃) - the birthday girl was adamant about having this tonight, and I can see why. These were pretty big! Reasonably fluffy, with a generous filling of red bean paste. Very yum. We all brought some wines tonight. In fact, there was so much wine we could never hope to finish them. Given my inability to smell anything, I decided to just take small sips of everything, and eventually gave up trying the wines. 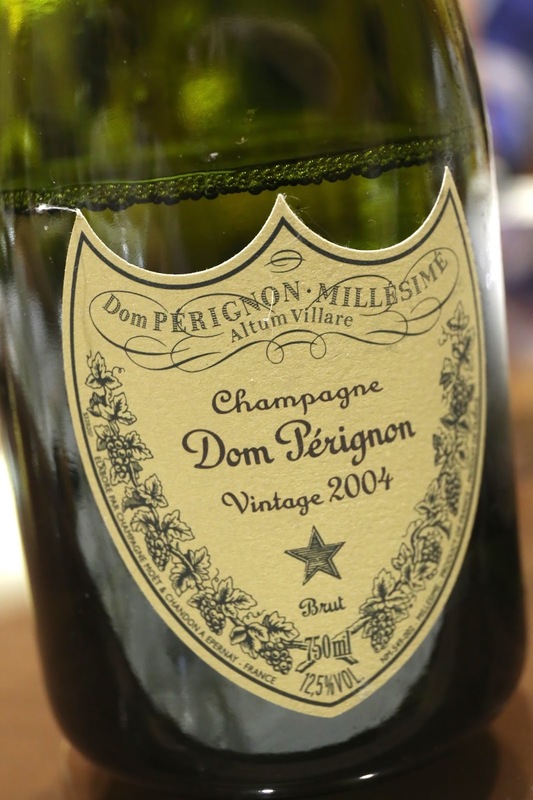 2004 Dom Pérignon - a little warm, ripe and hot on the palate, and a little bland. Jacques Selosse Initial, dégorgée 30 Avril 2013 - ripe and full-bodied, a little buttery on the nose. Much, much more complex than the Dom. 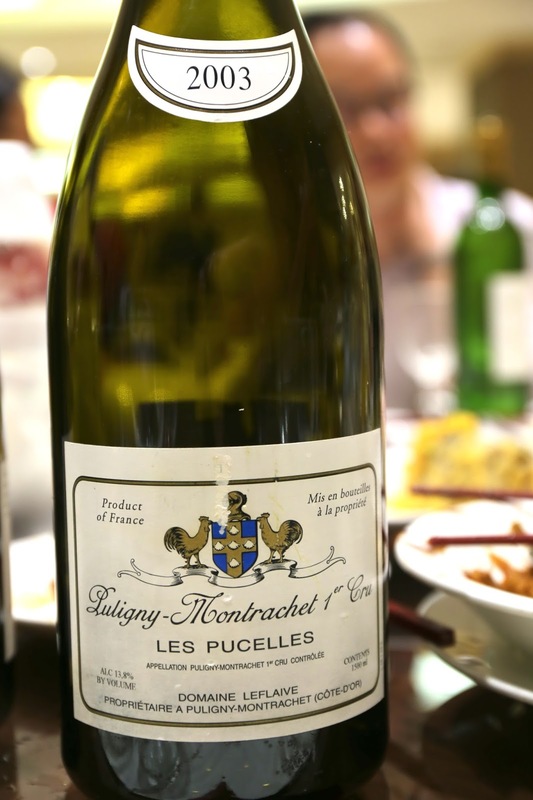 2003 Leflaive Puligny-Montrachet 1er Cru Pucelles, en magnum - very ripe on the palate, hot finish, very little acidity. 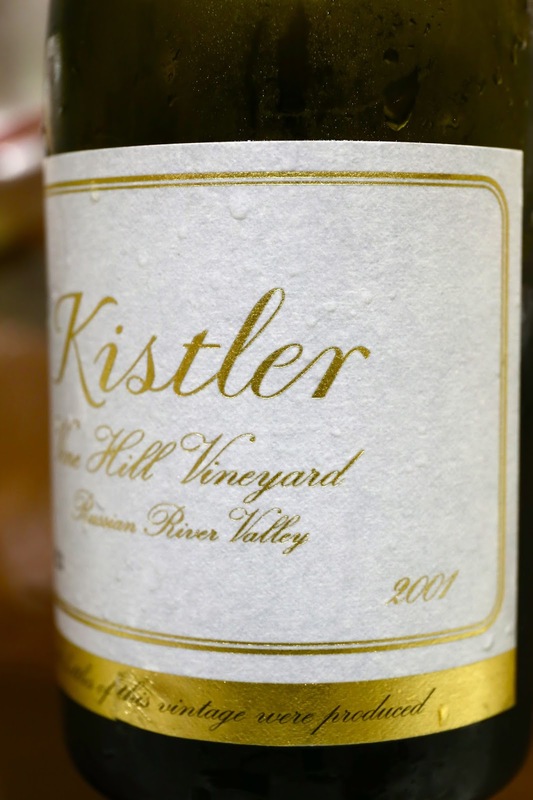 2001 Kistler Chardonnay Vine Hill Vineyard - very ripe on the palate. 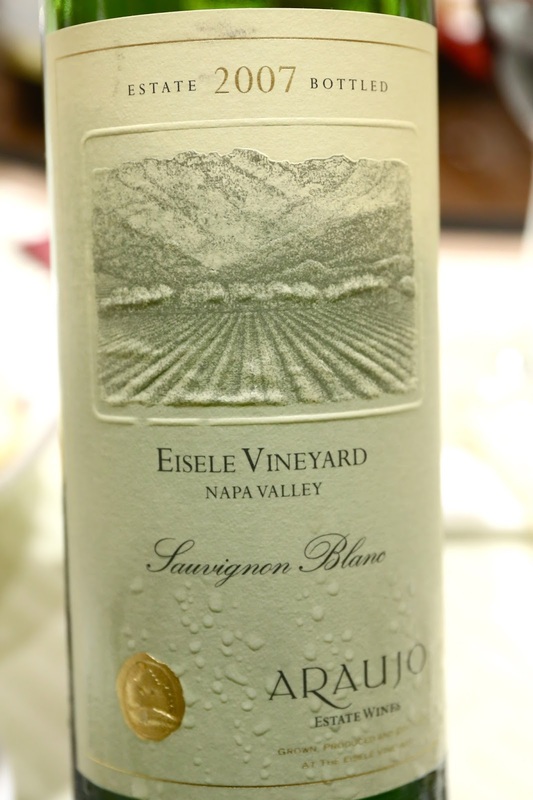 2007 Araujo Sauvignon Blanc Eisele Vineyard - some ripeness on the palate.